Bacon Spinach Artichoke Pizza with homemade garlic cheese sauce! Easy to make, low fat, & cooks in 12 minutes! Weight Watchers friendly- 10 SmartPoints! PIZZA. It’s true love-hate relationship with pizza for me. I hate it because I want to eat it all the time but shouldn’t, and I love it because it’s delicious, fun to make, and I can make it guilt free! Recently, a pizza place opened by my house where you walk in, pick your sauce, toppings, etc and they cook it right then and there. Basically, a Chipotle restaurant version for pizza! Whoever came up with the restaurant concept is a genius! The last time I went to this pizza place I created one of the best pizza concoctions I’ve ever had. So, I decided to try and make it at home and my Bacon Spinach Artichoke Pizza was created. This is a Weight Watcher friendly recipe and it’s 10 SmartPoints per slice! Making pizza at home is really fun! Pizza crust is a blank canvas so you can add anything your heart desired on the top of it and it’s your pizza. Aside from my all-time favorite at home pizza, Pulled Pork Mexican Pizza, my other favorite is THIS pizza. 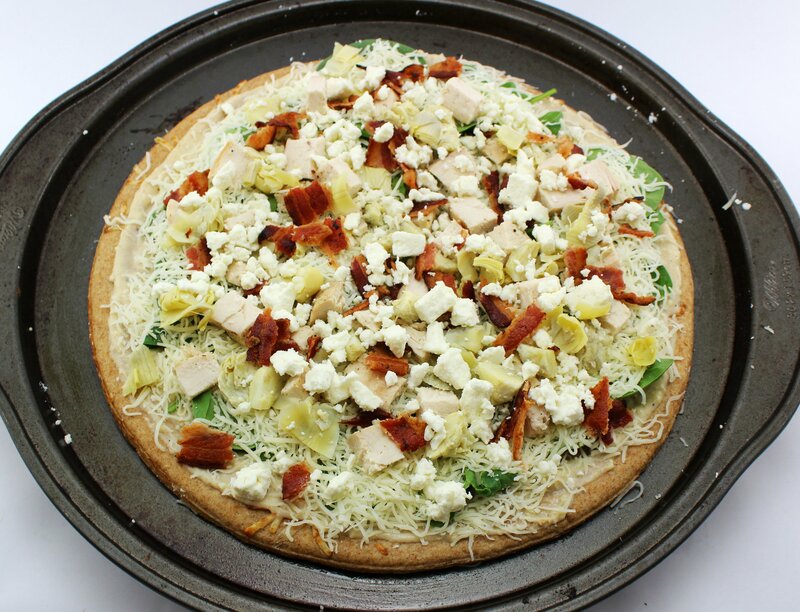 Crispy pizza crust topped with creamy, homemade garlic cheese sauce, fresh baby spinach, diced chicken, artichoke hearts, BACON, and cheese. It’s pure bliss! The garlic cheese sauce is delicious and super easy to make. Trust me, once you make this sauce you will never want to buy jarred pizza sauce again! Heat oil in a skillet, sauté garlic, add flour, then milk and whisk vigorously to create a roux. Add parmesan cheese and let it melt. Once you make the sauce, pour it over pre-made pizza dough then add all the toppings. The trick is to add the baby spinach first, and then top with shredded mozzarella to the pizza. Next, add diced chicken, artichoke hearts, bacon, and feta cheese. Thank goodness that it only takes about TWELVE minutes to cook because it looks too good to eat even before you bake it! 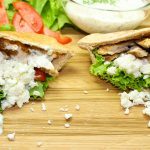 Just add a side salad and this is a great quick and easy Friday night in meal right here! SO good! Guilt free Bacon Spinach Artichoke Pizza with homemade garlic cheese sauce! 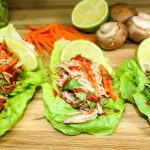 Easy to make, low fat, & cooks in 12 minutes! 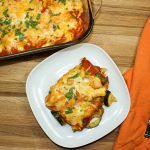 Weight Watchers friendly recipe with 10 SmartPoints per serving. Heat a skillet on medium heat and add olive oil. Add diced garlic and cook for 30 seconds. Add flour and pepper and cook for 1 minutes, whisk constantly. Slowly add milk and whisk constantly to make a roux. Remove from heat and stir in parmesan cheese until melted. Lay pizza crust on parchment paper. Spread garlic sauce evenly over pizza. Place spinach over sauce in an even layer. Sprinkle mozzarella cheese over spinach in an even layer. 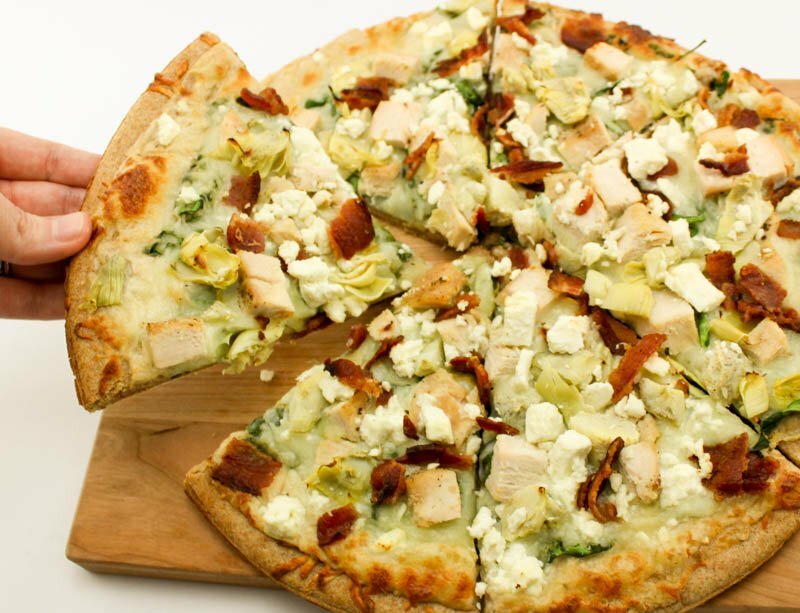 Evenly distribute diced chicken, bacon, artichoke hearts, and feta cheese on top. Place pizza directly on oven rack and bake for 12 minutes.